MEGAN BECKWITH combines live performance and multi-media to develop works that explore the relationship between the physical & virtual. She investigates this relationship by combining contemporary dance and 3D animation in a choreographic process that layers one over the other, re-working the human figure into new forms that both fascinate and horrify. Reviewing her 2013 work ‘Parallax’ in The Age, Chloe Smethurst described Beckwith as a “trailblazer”. Her practice explores the idea of physicality and technology through the figure of the cyborg and augmented reality. Her current work asks: how does the body react within a distorted reality and how does virtual reality affect emotions through the use of stereoscopic 3D illusions. Recent performances installations such as Parallax, Time For Tea, and Closer, placed the live human body within virtual stereoscopic environments. The 3D animated dance performance explores transformation, identity and place. A woman drinks a green drink and enters an illusionary world in which she is transported through a series of abstract spaces. Each object she encounters creates different physical and emotional problem the woman needs to negotiate. In each world she sees herself from different perspectives, creating an effect of parallax. Virtual Drag is an immersive exhibition of 3D scans of drag queens and kings via virtual reality headsets by artists Alison Bennett, Megan Beckwith and Mark Payne. In this work they have explored the potential of 3D scanning to create hyper-real cyberspace encounters with some fabulous drag performers. The audience moves through a series of worlds inspired from not only the animated models but also the real people the scans were taken from. Epic landscapes, disintegrating rooms and black voids create the landscapes that the audience and each character inhabits. Virtual Drag has already generated a small buzz internationally in new media art circles. It has been featured on the uber cool UK based blog Prosthetic Knowledge, and picked up by Tumblr Radar. The computer game culture magazine KillScreen noted that the convergence of virtual reality and drag ‘realness’ opens a rabbit hole of accelerating conceptual possibilities. Megan created the Isadora interactive performance sound and video scape for this theatre work. 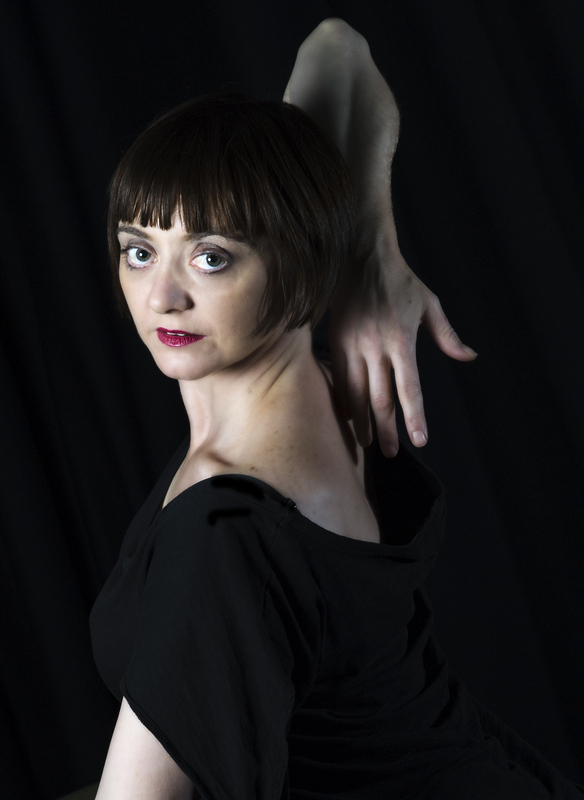 The Artistic Director of Punctum Inc., Jude Anderson, led the development of this project for the opening of the Castlemaine State Festival. My role was to liaise within more than 15 different community dance groups and choreograph elements of each individual performance. This show was a performance installation where audience exchange an old shirt for a new reworked one. The audiences’ hands were video captured during the exchange and then invited to watch an interactive dance performance where their hands feature in the video element. Residence part of In Habit, Abbotsford Convent performed at Off the Curb Gallery, Melbourne. Produced by Punctum Inc. Directed by Jude Anderson. This was a live contemporary dance performance that integrated oversized 3D animated insects in dance. What would happen if the Bugs took over the world. Performed as part of the International Animation Festival, 2009. Live Arts Incubator Residency at the Engine Room at the Capital Theatre explored the use of the Wii remote as a video motion-tracking device within live performance. Created in collaboration with Aaron Veryard, this project was supported by Punctum Inc. and funded through Regional Arts Victoria. Created and performed in collaboration with Seung Hi Lee and Calum Healy, produced by the Next Wave Festival as part of the Sweet Region program premiered at the Back Box Theatre at the Melbourne Arts Center, 2008. Megan created the 3D animated dragons for this theatre work performed at the Street Theatre Canberra. Winner of the 2007 Canberra Critics’ Circle Award for Theatre described as ‘ A visually splendid and insightful theatre piece that had impact for a very wide range of audiences’. Megan created the 3D animated ducks that featured in this show. Megan performed and created the animation and dance movement for the dance element of Shack in collaboration with the director Jude Anderson. Repercussions of Movement, an audiovisual meditation on movement, with music and soundscape by Gary France, concept, film design, text, movement, voice Kim O’Connell, sculpture Jutte Feddersen. Season at the Castlemaine State Festival. Organ transplants are one of the great medical and technical achievements. It is this success has led to an ever-increasing number of patients and crises in organ supply. What may happen in the future? If insects could be used as donors what may happen physically or psychologically to the human host. Created and performed in a 4 week Alan’s Walk Artist Run Space Residency. An instillation dance performance at the Pepper Green Farm Festival as part of farms cultural festival, funded by Festivals Australia. A 5 hour performance by 25 dancers presenting in teams of 5, performed by students of the Bendigo Senior Secondary College and Over The Moon Dance Studio. The tent city was a night time installation/performance for people to reflect on the diverse and multicultural origins of Eaglehawk and community life in a Tent City. Created in collaboration with Tamera Marwood, Jacques Soddell, Megan Beckwith and Matt Burne as Fourcast. Residency at Eaglehawk Dahlia and Arts Festival, ending in 3 days of performance/installation at the old tennis courts in Simpson’s Rd Eaglehawk. Supported by Festivals Australia. This artists in residence during Castlemaine State Festival at Tute’s Cottage. A new waterless fountain for each day of the Festival! Provisional, participatory and intimate, these works are informed by ecological, social and personal histories. The studio and installation of art works took place at the Cottage. Created in collaboration with Tamera Marwood, Jacques Soddell, Megan Beckwith and Matt Burne as Fourcast. Choreography for the production of the Beggar’s Opera performed at the Murdoch Studio at the Opera Centre, South Bank. 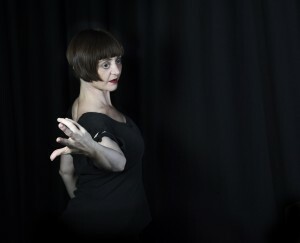 Performance of the 4 animated solo performance installations, Torso, Arm, Foot, Head in the Play House Theatre of the Arts Centre, Melbourne. Dancer/ Actor, directed by Jude Anderson Presented at the Gasworks Art Park, the ancient Bendigo Gasworks, and the Furphy Factory. The Gas Connection received funding from the Australia Council, Arts Victoria, Regional Arts Victoria, The City of Greater Bendigo, Riverlinks Shepparton. 1 month residency at dudley house, Bendigo Fourcast is a small company of site specific regional artists comprising who collaborate across diverse art forms. Their work addresses water management issues facing Central Victorian communities and relate to the site within which they are created. Public Fourcast was presented as a part of the 2004 Bendigo Summer in the Parks Calendar of Events. This work explores the idea’s of loss and isolation. Created within the original Victorian home, this work explores the plight of many gold rush woman with little water, a profound loss of culture and isolation in an unforgiving and alien environment. The work questions what to do when there isn’t enough water for a cup of tea? The Victorian woman is immersed in a 3D water environment that she can not drink. Developed as part of Fourcast Residency at Tutus Cottage, Castlemaine Festival. 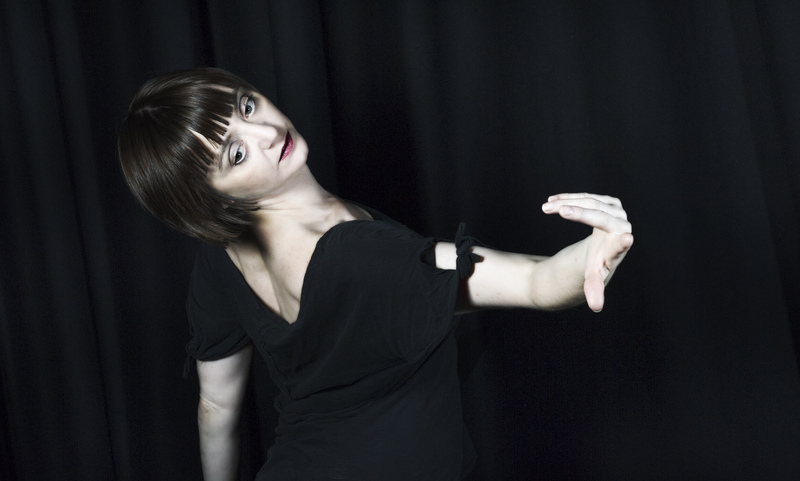 Megan performed an improvised dance performance that was called and described by Jonathan Ridnell. This weather-based multimedia installation was based on their residency at tower studio in nov 2002. The art installation was broadcast live on central victoria ABC (91.1 FM and 107.9FM) as part of summer in the park season. This month residency was at tower studio, Queens college, university of melbourne. Tamara Marwood, Todd Baxter, Megan Beckwith and Jacques Soddell worked on a weather-based performance/installation, November 6-29, 2002. Third in a series of 6 conjectural modules is a project coordinated by Sandra Bridie in Tower Studio at Queen’s College, Melbourne University between September 2002 – February 2003.